Cryptocurrency. What is it? What can you do with it? How can I get some? Woah there, slow down now, old sport. Let’s start from the beginning. It all started with the cypherpunk community back in the 90’s. Good times changing at a rapid pace with the rise of computers and electronic networks. 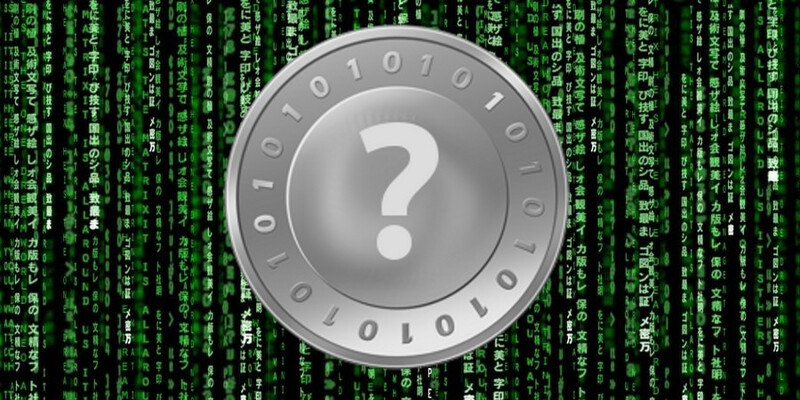 What is cypherpunk, you may ask? Well, friends, cypherpunk is the root of electronic privacy and a form of ‘civil disobedience.’ A cypherpunk by definition is “any activist advocating widespread use of strong cryptography as a route to political or social change.” Tim May, Eric Hughes, and John Gilmore started the Cypherpunk mailing list back in 92.’ Twas’ a good year indeed. It was the year of nicotine patches, Nirvana, the Rodney King riots, all that jazz, and of course, these visionaries at hand right now. The cypherpunk mailing list was a mailing list that allowed complete anonymity between different people in different places that had never met. It is something akin to that of a secret meeting with the fellow good person and their liberties in mind. Any questions can be answered here in the Cyphernomicron. Knowledge is power, so knowledge is entitled to those who create it and the privacy of their papers must be in their control. Think of it as a key to your house. You work your days away to fill your house with things you put inside of it. Would you want everyone to have a key to your house? You most certainly would not. The same kind of concept should be in position for your thoughts. You work to put them there, so you should have the power to choose who can hold a ‘key.’ Privacy is something that governments and big businessmen will not readily give us unless we have given it to ourselves first. OK, friends, I hope the link in lesson one above answered any questions you may have on any pressing matters. Got it? Got it. Right? Right. Remember about that key to your house I mentioned before? Well, let’s take it back just a half-step. You use the money that you worked for to buy things to put in your house. Just as a thought is the fruit of your thinking, your money is the fruit of your labor. If you don’t let just anyone in your home, why would you let just anyone see all of your belongings? Metaphorically and profoundly speaking, this is where Bitcoin and various cryptocurrencies such as Dogecoin and Litecoin come into play. A cryptocurrency is an encrypted, online currency that you can buy, use, and sell online rooted in the cypherpunk origins and growing at an extraordinary pace. It can be anonymous if you wish it to be so and is essentially carrying cash on the internet, and cash my people, is clay. You choose what do with it, where it goes, who gets it and who can see. It is complete freedom of choice in a monetary sense. Hell, even Steven Wozniak, one of Apple’s co-founders is investing his time here. Ahh, the freedom tastes great, ay? It is becoming the rise of ‘good money.’ Friedrich Hayek, the pioneer of the theory of money and economic fluctuation, stated that, “we shall never have a good money again before we take the thing out of the hands of government, that is, we can’t take them violently out of the hands of the government. All we can do is by some sly roundabout way, introduce something that they can’t stop.” Bitcoin and its fellow cryptocurrencies are exactly that. The users have entire control over the financial privacy of all transactions. There is an enormous amount of room for growth here. It is the dawn of a monetary system unlike any we have ever seen before in human history and, right now we are merely dipping our feet in a great big ocean. It is the first decentralized form of currency presented to us and is open to anybody without any authorization other than the will of the holder. As we become more connected, a vast new world is opening up of how we can use our money in a global sense. So, why should you care about cryptocurrency? Well, let me ask you, why should anyone have cared about the Internet in the 1990’s? After all, it is about as interesting as e-mail in 1993. It isn’t exciting for what it can do right now, but rather, the potential it has. All of the people that had gotten whipped into a great, big frenzy about the Internet are the ones that understood the potential, and look where we are now, old sports. The Internet made it easy to talk with friends around the world, and now we are able to do business with them in the same manner. From a personal standpoint, the reasoning to use bitcoin could be having your money secured outside of a bank or using it 24/7, globally, on Sundays and holidays alike. It could be that there are zero banking fees for holding bitcoin or zero transfer fees for transferring it. It is like cash under the old mattress but with all the digital benefits and free from inflation. For business owners, there are no credit card transaction fees. It works a lot like PayPal except that there is not an authority that can charge you fees and ask for your social security number and damn near all of your personal information to use their service. It also is not based in the USD, huzzah. Bitcoin is pointing towards the future free from inflation with the end of a central banking system and crooked economics starting at the top of our government. It is the birth of all new industries never before seen and it has grown in value at such a rapid rate. On May 22nd 2010, one of the first real world transactions of bitcoin was placed for an order of 2 Papa John’s pizzas. At the time, this was 10,000 bitcoin, or about $25. Today, at the current exchange rate, this same amount would be worth over 2 million US dollars. The growth and acceptance of cryptocurrency is undeniable. You want to order some pizzas? You can do it. Give someone more than a like and tip someone for some original content or a hilarious comment. You want to invest and test the waters? You go for it. Care for some research chemicals? Float your boat. Transfer money to your friends and family without those fees! Companies are getting on board with the idea and anything you can do with money in the real world is becoming more and more possible every day with cryptocurrency. Jobs are paying in bitcoin. There are Ebays, exchanges, stores, and Craigslists for crypto’s popping up left and right. The value is there, and the infrastructure is now underway in pace with price stabilization that we are currently seeing before us. I have only scratched the surface on the things it can do, and if you don’t feel that it’s for you, it may very well not be for you . . . yet. So, now it’s time to get out there and participate! I remember mining bitcoin back when it was worth 15 dollars. I had bought 4 graphics cards and had them mining 24 hours a day. I remember telling my parents all about it, and they refused to invest. If only! Man oh man, the glory days when you could mine like that indeed. As far as your parents go, that would’ve yielded huge profits. It’s best that they don’t know at this point hehe. Between ItBit getting that New York license and Cyrex getting a few big investments, it’s going up even more too, man I’ll tell ya. I’ve been keeping an eye on it and it’s gone up $20 in less than a week. I just started a new second job and was gonna buy 3 or 4 bitcoins as soon as I got payed. Needless to say, I still have not gotten paid yet. I’m missing out my dear friend! I calculated that if had about 4k worth of hardware mining for a year, and sold when it was worth about 900, I could have made around 300 thousand dollars. I try not to think about it!